on the best accessories for this type of work using my G12 ? 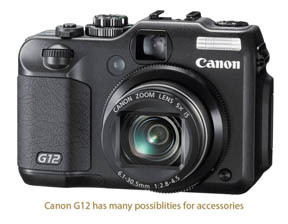 Thanks for your question about the Canon Powershot G12 and shooting macro. The G12 is not a GREAT camera that's dedicated for close-up shots, but with a few simple techniques, you can take some great images. 3. 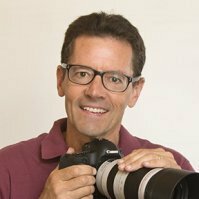 Use the self-timer or a remote shutter release. 1. Proper Exposure. Aperture priority gives you control over depth of field, which is critical in close-up work. 2. Use good computational technique like Rule of Thirds or leading lines. 3. Good Lighting. I almost always use natural lighting, near a window, or outside in the shade, or by using a light reflector or light blocker.